In TimePunch it’s possible to perform a month-end closing. But what is this exactly. For every employee and user of TimePunch at least one, but most time more, time entries are recorded. Using the month-end closing those time entries can be separated on business side and technical from the active dataset. This has functional and technical advantages. Business advantages: The already recorded and approved time-entries can’t be amended afterwards accidentally or deliberately by the user. They are audit proof save. Technical advantages: The flexible working hours are going to be calculated from the month-end closing date with those base data. If never a month-end closing takes place, the calculation will start from the very first entry. This can have negative influence of the overall application performance. In both cases a month-end closing is therefore wanted and should be the ritual on the first workday of a new month. There are two possibilities to perform the month-end closing. In order to perform a month-end closing, the month that shall be closed, needs to be choosen from the drop-down list. If time entries shall be amended, that are already in a closed month, all months needs to be opened until that date. Therefore a month has to be choosen that is prior to that of the date that shall be amended. E.g. if an entry in June 2013 shall be amended, the month-end needs to be set back to May 2013. The months can also be unlocked completly, but this is no proposal, because in that case all months gets re-calculated. (Deutsch) Welcher Fenster-Stil für welchen Zweck? Posted on 10. June 2013 by Gerhard Stephan in How To | Comments Off on (Deutsch) Welcher Fenster-Stil für welchen Zweck? They’re here again starting today: The Nightly builds for TimePunch 2.0. Nightly builds are the trial versions that are based on the latest development of the software. Thus they offer an almost realtime look at the next version of the software. We would like to present you with an opportunity to look at select builds of TimePunch. Of course Nightly builds are never bug free and should therefore only be used for evaluation. The fastest way would be to install the Nightly builds by changing the update path in TimePunch. Open TimePunch and choose “extras/options”. Then you can change the update path to Nightly builds. You’ll be notified automatically when new builds become available. Alternatively, you can also load Nightly builds from our TimePunch blog. All installation set ups for nightly builds are available there. So have fun poking around. 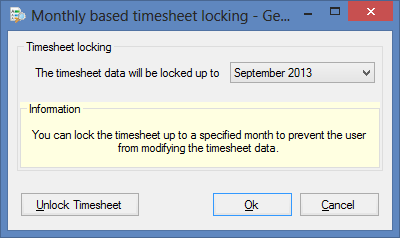 This Blogpost shows how to synchronize time entries with TimePunch for Windows. The next Version offers the possibility to export the time entries from your windows phone and import it in TimePunch for Windows. Therefore the time entries will be uploaded through our SSL secured Webservice to our Cloud and stay there until you download it with the Synchronization Wizard in TimePunch at your PC. With this feature it will be possible that employees, who work at the customer side, will send there time entries directly to the office. The next videos shows how this will work out. 2.) Import time entries to TimePunch using the Synchronization Wizard of TimePunch.